Pop culture is a great place inspiration for beards. One of the most iconic characters in video game history even rocks a killer mustache that is unrivaled. So let's get into some of the best beards you can find in games. These are in no particular order either, so just enjoy this follicle greatness. You have probably seen him in some capacity or another. He's been rocking his classic 'stache since 1981. Along with his overalls, he's kept it through all his races, tennis matches, parties, soccer games, and even kept it when he went to space. Now that's dedication. He's just a normal guy too. No matter how his costume changes, or how many years go by, he still wears his facial hair with pride. He's not perfect either; if you look closely you can see that his hair and mustache are slightly different colors. He may just seem like an ordinary guy in a zombie apocalypse, but that's where you'd be wrong. He's a Vietnam veteran who, at the age of 65, is still alive, well, and just looking to survive. His beard holds all sorts of secrets. Can it repel zombies? Is that where he keeps his cigarettes? What does he use to take care of it? His beard isn't sentient, so we may never know the answer to these question. Unless they make a sequel just to answer our questions. Settled in the wild west of America in 1906, he became grizzled by the elements. It may not the be the full bushy beard you would think someone of the era would have, but he was a bandit. He kept it down to a rugged short beard and oozed confidence with it. After he left his life of crime he was still rugged and kept his beard, but mainly turned to hunting so he could still use his gun. The prominent scar on his right cheek prevents some growth, but that doesn't stop him from looking like a badass. We love all sorts of beards here. Whether that's stubble, a full bushy yeard, or, in this case, a sweet goatee. 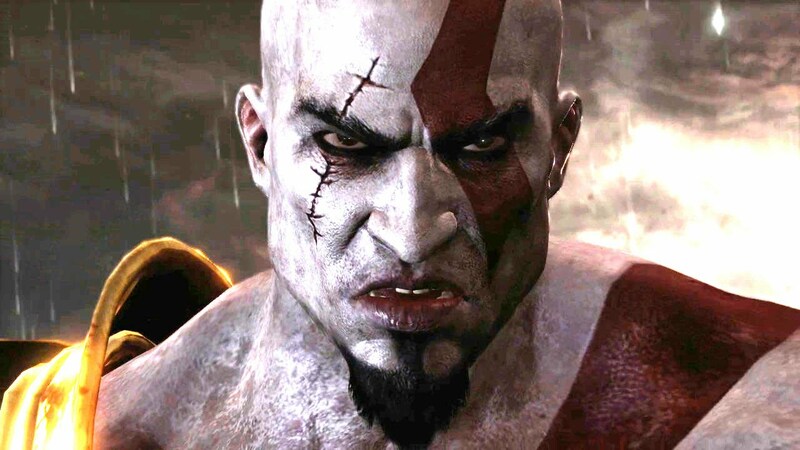 Kratos was a Spartan warrior, so law mandated he had to keep it short. He rebelled slightly by growing his goatee and completely shaving his mustache and trimming the rest of his face. This leads to a really interesting look that he pulls off surprisingly well. It's unique, suits him, and even makes his face look fuller. That coupled with his scars and body paint tattoos really make him unforgettable. He may be the bad guy for the completely shaven Mega Man, but he rocks some pretty great facial hair. The hair on his head may be receding and thinning, but he is definitely not lacking in the mustache department. It majestically spreads across his entire face and doesn't even get into his mouth. Now that's what I call a killer 'stache. We can excuse a portion of his evil status because of his hair, right? On the flip side of the moral coin, we have Dr. Light. He's basically the literal embodiment of Santa Claus within the Mega Man Universe. He's got a glorious voluptuous beard glowing with radiant white and gray hairs. His beard covers his entire face and engulfs it in healthy beard hair that you would normally only dream of. Plus he's one of the good guys, so there's much more to love about him than just his beard. Born his Russia, or the Soviet Union at the time, and coming in at 7 feet tall and 350 pounds, he's quite the burly man. Before we go on to his beard, first notice his chest hair. If his body produces that kind of hair on his chest, just imagine what his face is capable of producing. 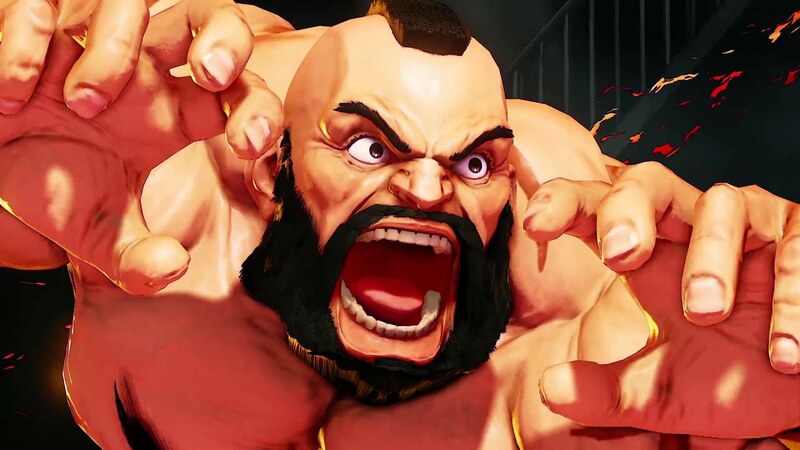 Zangief's beard full, thick, and free of patches as it covers his entire lower face area. His chin and mustache may seem a little thinner than the rest, but his sideburns and mutton chops make up for it. Those are where he carries the majority of the beard weight. 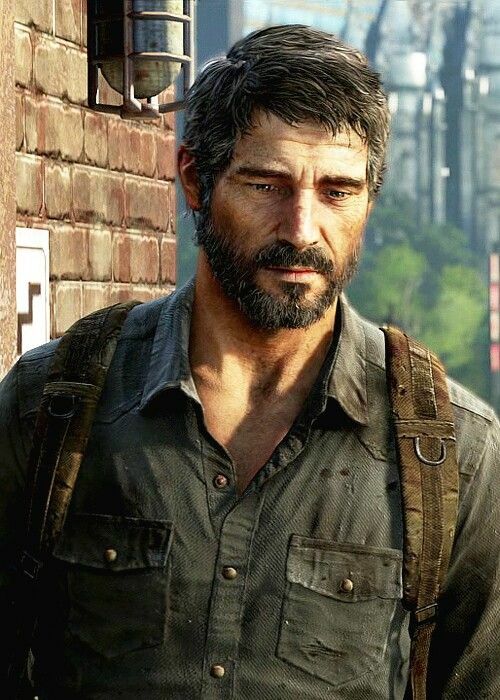 In my opinion, this is one of the most realistic beards seen in video games. He's just a normal guy in an apocalyptic setting (very similar to Bill). He's just trying to survive the world around him and doesn't have time to worry about how his beard looks. It's mostly the same color as the hair on his head, but due to his age, some of those hairs are turning white and gray. It gives him a weathered look. Something that says he has seen a lot in life, but he's still fighting. This is one is a curious case. In the game, you can choose to go to barbers to change your hair style, trim your beard, and sometimes just wash the blood off your face. The interesting thing is that the longer you wait to trim your beard the longer it grows. As the in game clock ticks away your hair actually grows. So the technical feat by itself is something to admire. 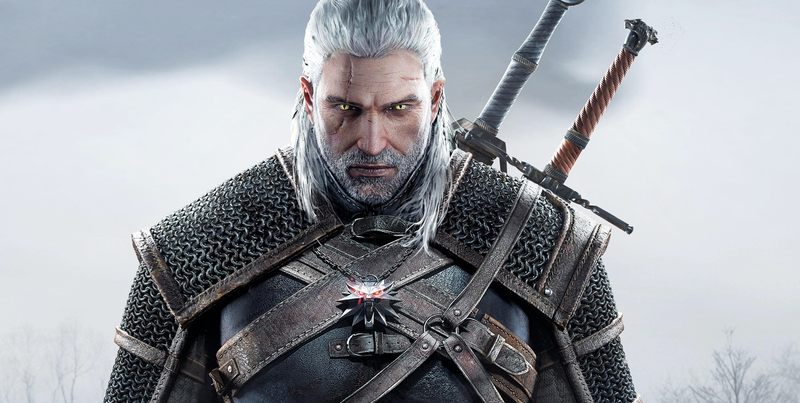 The realism factor also has a role in the inclusion of Geralt in this list. Here might be the only place I include slight spoilers in this post. He both has a beard and doesn't at the same time. He is both the main character and not. But, he does have an amazing beard. It's thick and full, with no visible patches. He rocks it with confidence and power, ready to take on anything that crosses his path, including converging alternate timelines.